Together, Brian McGuckin and Tim Thompson founded Crestwood Associates back in 1998. 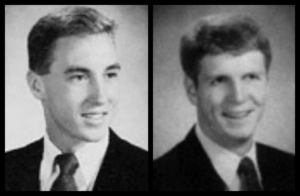 Tim and Brian first meet when they both worked at Ernst and Young. Approximately a year later, they decided to start their own business out of a 3 flat in Chicago on West Waveland. 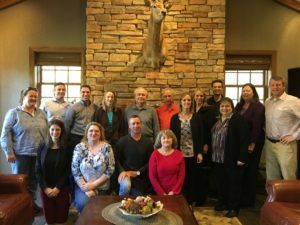 Crestwood became a Great Plains partner and took on their first clients. Tim and Brian are proud that their first clients are still with Crestwood today. 1999: Acquired Software Analysis Corp’s Great Plains practice and hired our first employee, Juliet. Juliet just celebrated her 19-year anniversary with Crestwood. Our business grew quickly and we eventually had to get a “real” office in Rolling Meadows, IL. 2003: We grew quickly, adding 5 more employees, and invested in a larger office space. In four short years we became a Microsoft Certified Partner, BDO Business Resource Network Member, and added Dynamics CRM to our practice. We also won our first Microsoft President’s Club Award (we are up to 10 now). 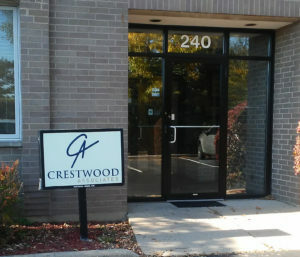 2005: Crestwood moved again to our current headquarters in Mount Prospect, IL. Juliet remembers this move as finally having our “own” space. We could have a little fun at work, with grilling competitions and games in the parking lot. 2010: Acquired the Dynamics GP Practice from Applied Tech in Madison, WI. We entered the Wisconsin market and gained a lot of great non-profit customers. Pam, who was their Dynamics GP consultant, joined our team and still supports quite a few Wisconsin clients. 2011: Crestwood merged with Feterick & Associates, adding Acumatica and Dynamics SL to our practice. Rick, Donna, Mike A., and Mike G. joined our team. All are still with us today and have helped to grow the business. In December 2014, we joined forces with the Custom Computer Resources (CCR) out of Michigan and then by January 2015, we hit the 50 employee mark and had a great opportunity to grow even more. 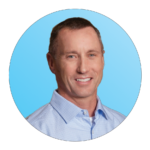 We acquired Vision Business Solutions (VBS), adding our Director of Sales, John Gabrys and a handful of senior consultants. We were on a roll, and in July 2016, we couldn’t pass up a perfect fit in a longtime Dynamics Partner, SSYH, out of Orlando, FL. This was our largest acquisition yet, adding 14 employees and expanding our footprint into an exciting new territory! To this day, we are still impressed by the tightness of this Florida team and their commitment to xcellence. Still growing, in May and June, 2018 we have 5 new employees joining our team, putting our count to 63 employees! Sure, we’ve had some growing pains, but bringing in experienced staff members only makes us better. Looking ahead, we are excited about our opportunity to grow. Having the right people in the right positions allows us to expand and share great new opportunities. 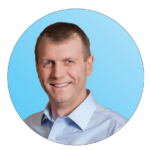 We are devoting time and resources into product development, embracing the cloud, and investing in our employees. We will continue to partner with the best ERP solutions for businesses like yours. 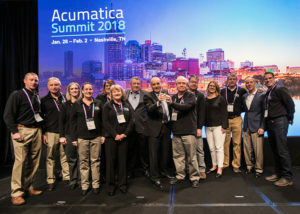 Microsoft and Acumatica are leaders in their industry and we are committed to implementing, supporting, and developing add-on products to enrich your experience with these systems. Crestwood assembles the right team and best business application for our clients and their goals. We collaborate to reduce non-essential tasks via automation. Together, we create time for our clients to ensure better operations in a more enjoyable, insightful way. We constantly aspire to make the complex simpler for our clients. Thank you for being part of the Crestwood family. We look forward to serving your business needs now and for years to come.